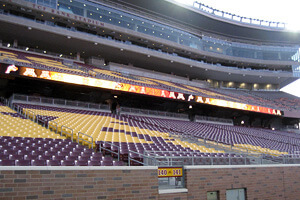 DCI Minnesota Location: Minneapolis, MN Date: Saturday, July 17 Stadium: TCF Bank Stadium Tickets: $27-$47, or $20 for groups of 20 or more In one of the biggest events to hit the upper Midwest since the 2006 DCI World Championships, the 2010 Drum Corps International Tour will roll through Minneapolis, Minn. on Saturday, July 17, for a first-ever event at TCF Bank Stadium in Minneapolis. This brand new venue will host a whopping lineup of 24 World, Open and All-Age Class corps during one fun-filled and exciting evening. Learn more about this event and purchase tickets. Taking place in conjunction with the DCI Minnesota competition, the System Blue Midwest Marching Band Skills Camp will be a four-day intensive music, marching and color guard camp for students and educators, taught by instructors of the Blue Devils and Santa Clara Vanguard. Learn more and register today at BlueForYou.com.